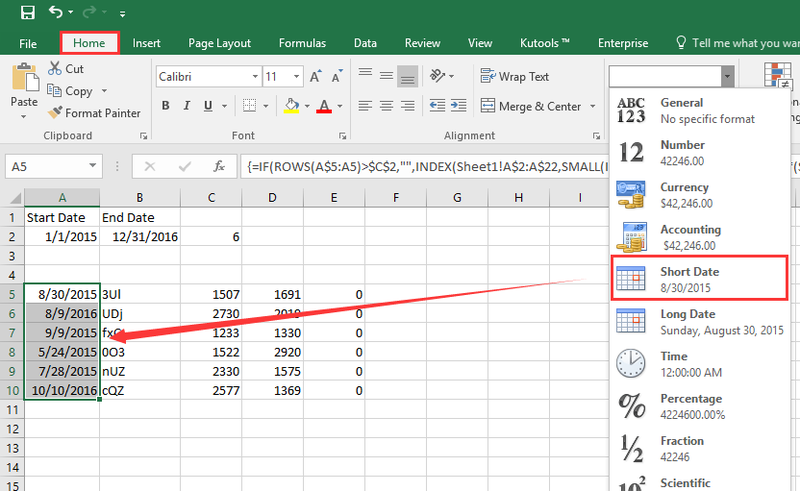 Excel-də iki tarix arasında bütün qeydləri necə çıxarmaq olar? Burada Excel-də bir sıra məlumatlar var və bu halda, göstərilən ekran görüntüsünün aşağıda göstərildiyi kimi, iki tarix arasında bütün satır qeydlərini çıxarmaq istərdim, bu məlumatı axtarırsız və bir-bir əllə çıxarmadan bu işi tez bir şəkildə həll etmək üçün hər hansı bir fikir varmı? Qeyd: Formula ilə Sheet1 hesabatı çıxarmaq istədiyiniz orijinal məlumatları ehtiva edir: $ A $ 2: $ A $ 22 məlumatlar üçündür, A2 və B2 başlanğıc tarixi və bitmə tarixi. 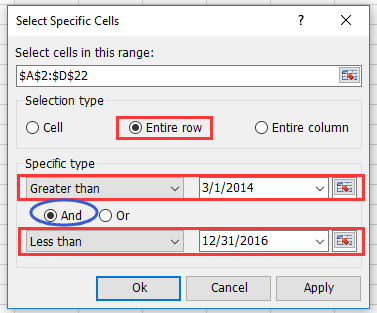 Bu işi daha asanlıqla idarə etmək istəyirsinizsə, Kutools Excel for Specific Cells özelliğini seçin. This formula worked brilliantly. I was concerned as I have multiple date duplicates and there was no mention of how it handles those; no issues. It returned all relevant data. 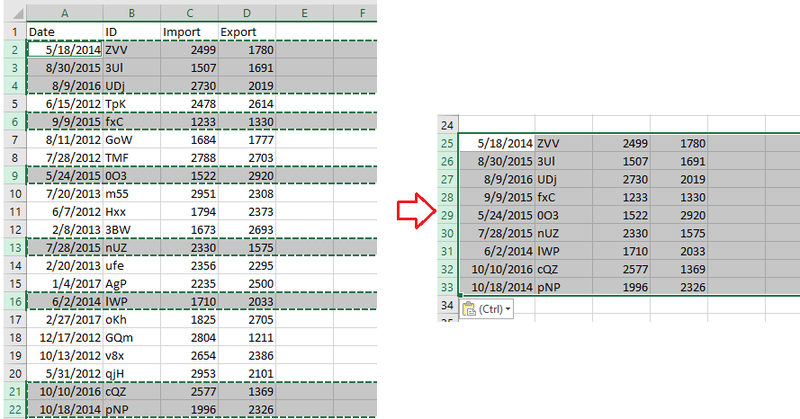 Thanks for your support, you can combined the duplicate dates cells after extracting. 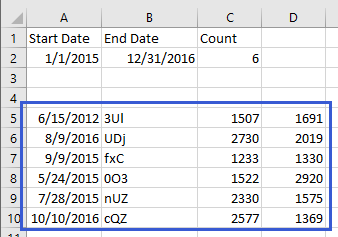 The trouble I am having because I need to find dates that run through the date range specified. 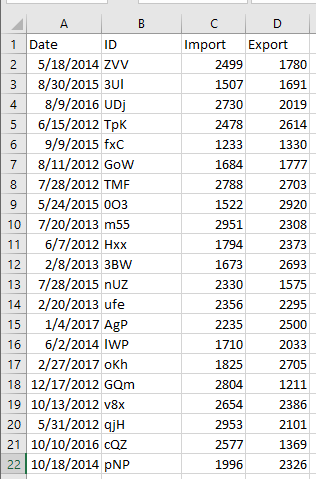 So I want anything that runs through something like 1/2016 to 12/2017, however it needs to include start dates that may be before the range so I can identify the records I need to look at. I used this code and it is pulling up dates outside of the window... how do I fix it? I recreated this example in Excel 2010, and the result was that the first row of data would show up, but everything underneath had a number error. Same thing happens to me n Excel 2010. Something in the formula doesn't work correctly. Have you pressed Shift + Ctrl + Enter keys? I see what's wrong. You have to press the shift + CTRL + Enter keys while still in edit mode. I was hitting those keys after entering the formula and hitting ENTER. I wish it would have been clearer. Yes, brian, after typing the formula and still in edit mode, directly press Shift + Ctrl + Enter keys (the keys instead of Enter key), to get the correct result.